Jim visited the rural district in the Pichincha province where Milwaukee native, physician David Gaus along with the Rev. Theodore Hesburgh, started a hospital in 2000 in Pedro Vicente Maldonado. 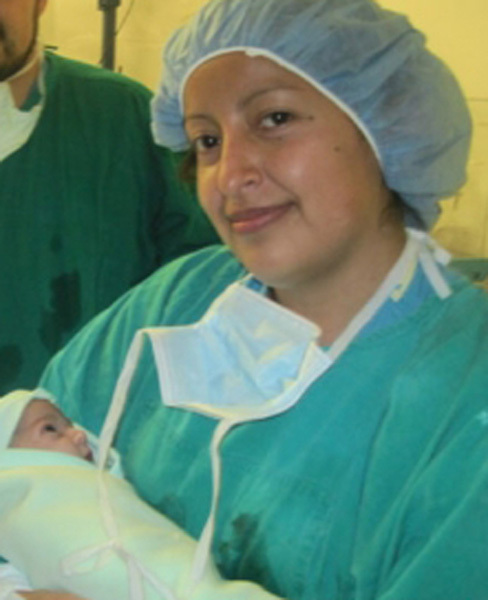 Their efforts are part of the non-profit organization, Andean Health and Development www.andeanhealth.org/. On his trip, Jim took part in the Andean Health Survivor Trip to raise funds for a new hospital being built in Santo Domingo, just west of the capital, Quito where Ecuadorean physicians are being trained as they work toward the opening of the hospital. One of those physicians is Amanda Elizabeth Tene Rueda who has been sponsored by the Elmbrook Rotary Club. Since 2000, with an initial investment of $1.5 million, the existing 17-bed hospital has become financially sustainable. It took seven years and trial-by-error methods to figure out how patients could afford care when the typical resident's average monthly income is $150. The hospital has been able to operate with 70% of payments coming from Ecuador's Social Security Institute and about 30% from patients. Even after reaching self-sustainability, the hospital still faces challenges in providing health care to its residents. Elmbrook Rotary has partnered with Andean Health and Development to provide high-quality medical services to an extremely poor population in a completely self-sustainable way, making sure that native Ecuadorians are taking ownership of their own healthcare needs through training programs like Amanda’s. A recent article with information on the project featuring Gaus appeared in the Journal Sentinel in June. For more information on Elmbrook Rotary’s Physician Scholarship program, contact Elmbrook Rotary Club, visit www.andeanhealth.org. or watch the following video to learn more about the work being done in Santa Domingo.